Laurie stood in her living room sobbing. At age fifty-four, she was in a tailspin: a few days ago, she had received custody of her twin three-year-old grandsons, and her life changed from calm to chaotic. This afternoon, while Laurie was attending to David, Danny had discovered and eaten an entire box of cookies, after which he threw up all over the carpet. Laurie cleaned up the mess while Danny was now happily banging a wooden spoon on pots and pans on the kitchen floor. David was napping, having fallen asleep after a temper tantrum because Laurie had no idea where his favorite “blankie” was. Now, during a calm moment, Laurie asked herself how she, a single parent, could hope to handle two active boys. Laurie’s story may sound familiar. Your life, as you knew it, is not completely over, but it’s drastically different now that you have a grandfamily. For many grandparents in this role,becoming a parent again was a jaw-dropping shock; for others, it might have seemed inevitable because of their adult children’s parenting problems, whether due to substance use, incarceration, child neglect, or something else. Either way, your life may suddenly feel like an emotional battleground—especially when you’re new to the role. Over time, you will adjust to this “new normal,” but new feelings emerge as the children grow up and as you age too. So let’s talk about identifying and dealing with these emotions and when to seek help from others. Grandparents describe a dizzying range of feelings as they take on the role of parenting again, sometimes decades after raising their own children. With so many stressors at the same time, they may feel many emotions. Relief, for the children’s sake, but also shock and role confusion as their own lives are upended. Over time, they may feel not only depression, loneliness, and isolation but also periods of great joy and satisfaction. Anger and resentment, often at the adult children’s inability to parent. And likely anxiety, grief, perhaps guilt. How will you handle it all? Let’s hear from some grandparents who have been there. You may have been worrying and mentally wringing your hands over potentially dangerous (or certainly dangerous) situations that your grandchild has been facing, such as being alone with parents who are abusing alcohol or other drugs or who are mentally ill and untreated and therefore unpredictable. Despite the challenges of forming a grandfamily, many people report experiencing profound relief when a grandchild comes to live with them, because now they know the child is safe. Surprise! For many grandparents, shock is an initial response to becoming a parent again. These grandparents didn’t realize that as parents their adult children were inadequate or worse: abusive, neglectful, or dangerous. Maybe the birth parents lived far away or didn’t visit for a variety of reasons. Perhaps they discouraged the grandparents from visiting them, knowing that if the grandparents had entered the home, they’d have been shocked by the chaotic environment and the dirty child and called them on it. Some grandparents say that when they later saw the birth parents’ home conditions, it was like a scene from the television show Hoarders with filth and debris everywhere, rotting food, and even animal excrement from confined pets. This situation would appall anyone. 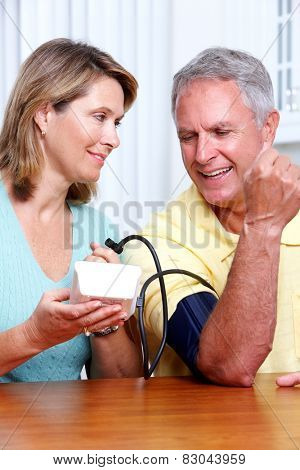 But even if your grandchild came from a safer setting, the swiftness of the transfer can be a shock to your system. 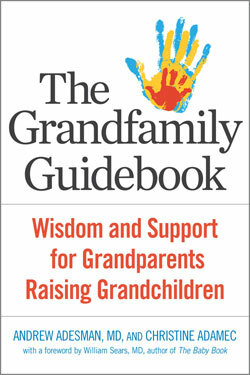 Some research studies show that depressive symptoms are more likely for parenting grandparents than for “traditional” grand–parents, who can spoil the children and send them home. However, depression doesn’t necessarily come with the role. It simply occurs at a higher rate; for example, one large study showed that custodial grandparents were nearly twice as likely to have depressive symptoms as were traditional grandparents.1 But the researchers also found some good news: the situation often improves over time. After acting as parents for five or more years, grandparents were significantly less likely to be depressed than those who were newer to the role. Why? The researchers speculated that as the crisis recedes and routines become more settled, the stress eases for everyone. And, as children grow from infant to toddler to school-age, the job of caring for them gradually becomes less demanding. The researchers also found that grandparents who were in good health were less likely to be depressed,2 which makes sense—health and exercise build our resilience and well-being. Dr. Andrew Adesman is professor of pediatrics at the Donald and Barbara Zucker School of Medicine at Hofstra/Northwell. In 2016, Adesman completed the largest nationwide study of grandfamilies. Christine Adamec is a self-help, health, and wellness writer who has coauthored more than 40 books. She and her husband are now raising a grandchild.